January 1, 2016 - It was late night when a prospective client sent me a message on hangout and told me “I heard you like Busuanga”, and I was like “huh! ?” and hey it’s a prospective client for my SEO services so since I actually did I said yes I did. Told him I got my first giraffe kiss there and all. He then said “Do you know how I found out?” and because I did have series of videos on YouTube about my trip, and did blog about it, so obviously I tweet and share about it. I was like “on social media?”. He then sent me a picture of this. Note: this is not the actual picture he sent since the one he sent is not clear and too small to share. Thank you Keene of KeeneTan.com for sending this and Rene (my high school classmate) for taking a picture of this section and send it to me too. I was so shocked! I wasn’t shock that I was in it, I was shock that it was this issue. Yes, I am aware that I’ll be in the Smile Magazine, they did send me a questionnaire and sent it back with answers. Not knowing when it will be published, or if even it will be approved. 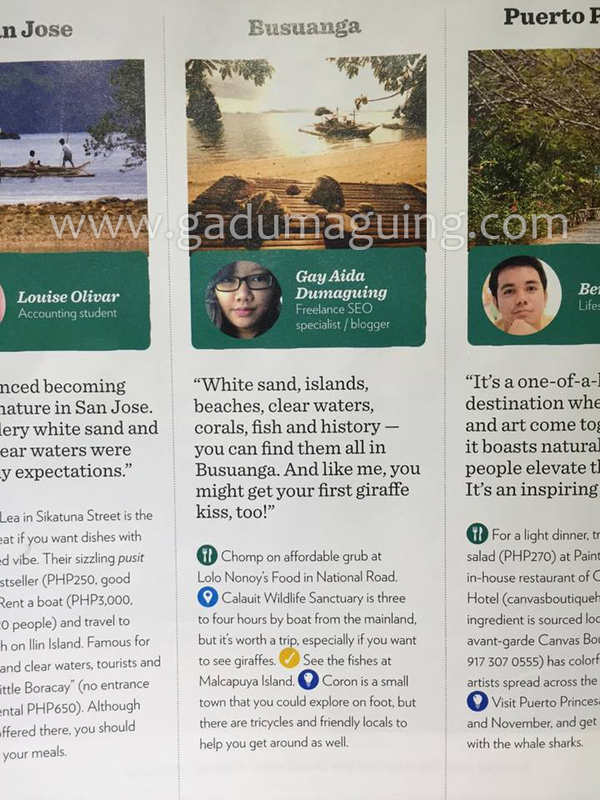 It was not all about me, it was me talking about my trip in Coron which is in Busuanga. So, it’s not a very big deal, but it’s a great deal for me for being in a magazine – since I just edit magazine covers before and put myself on the cover (just for fun). It’s a great way to start my year, and January is very special to me since it’s also the same month that I started blogging, and my travel blog. I’d like to thank all the amazing people behind Smile Magazine for giving me this opportunity - hope to contribute more on your magazine on my future trips. 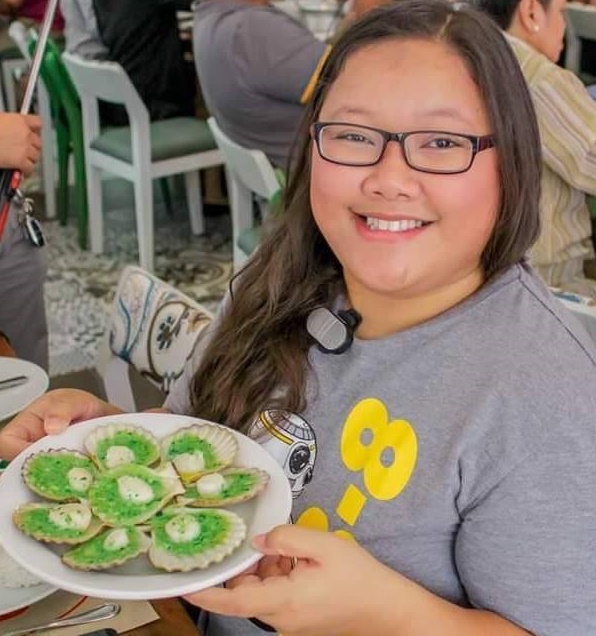 And of course, big thanks to Gretchen of FilipinaExplorer.com for referring me to them.